For Dubrave photos click here. For Sikulje photos click here. For Banovici charter photos click here. For Bukinje Works photos click here. Oskova Standard Gauge Shunt returned to steam for a morning. Meet up with the group for the tour start at Sarajevo Airport at 14:30. The meet up went smoothly but two participants are missing their cases, one due to a tight connection in Frankfurt and the other much more creative involving a Spanish or Italian budget airline, an obscure Rome airport, a missed flight to Dubrovnik and a change of flight plans to come to Sarajevo via Istanbul. I'm not sure that item of baggage will ever get reunited with its Aussie owner. 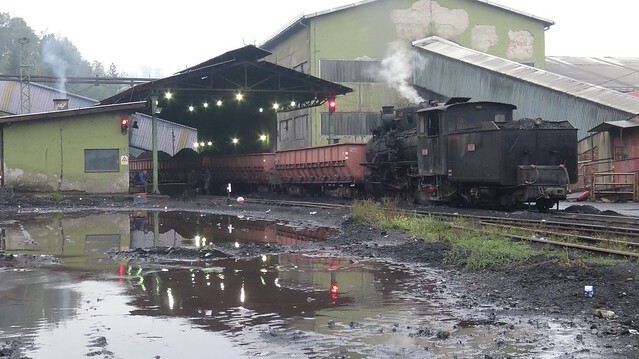 We called in at Oskova washery to find 83 158 (all black) on a train held outside the unloader for the washery. Within a few minutes, it moved to the unloader and started to unload. All that was very lucky but an independent visitor reported that this was about as much work as it had done all day and that the washery had only just restarted after a breakdown. The staff were already saying that tomorrow (Sunday) won't see much action. Meanwhile, a large number of road trucks wait to take load to coal away from the washery. We have checked into the Hotel Zlaca and after a good meal are ready for bed. Initial exploration of some of the 3 lines which regularly use steam – Banovici (Oskova shunt), Dubrave - Ljubace and Sikulje - Lukavac. At Oskova, 83 158 was on the washery shunt again. After being turfed out of there, we had a look at the ebryonic open air mine museum at Banovici and saw a class 740 diesel on a coal train. They have a 12:00 lunchtime steam tourist train from here every Saturday that we plan to fit into our program somehow before we head back to Sarajevo. The train heads up the line to the end of the double track at Grifice. Morning visit to Oskova (for the real ng steam shunt) or for trains on the Dubrave – Ljubace line (if we get advance information by phone). 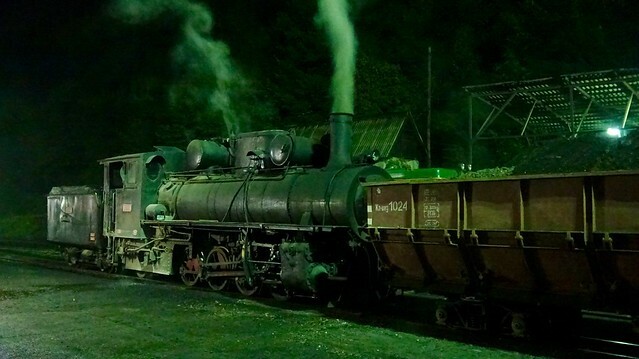 After shift change in the afternoon (around 14:00), charter train Oskova via Banovici to the open cast mine and return with class 83 ng loco and a train of coal hoppers and a flat wagon (for passengers). Our first real day as Sunday was just an exploration tour around and Monday was a much better day for finding the action. There is increased security at all of the loaders but with proper permission in place and management back at work after the weekend, we saw a coal train at Dubrave followed by a light engine return, a working at Sikulje with both loads and empties and had a charter the full length of the line at Banovici with the 83. After Banovici workshop on the charter we had full sun and in the afternoon the angles are right and we had a fantastic session. All in all an excellent day and one in which we saw all of the real working steam locos in Bosnia (on that day) as 83 158 had been taken off the Oskova shunt for our train. All locos in use where the same as Sunday. We are promised 2 additional kriegsloks in steam tomorrow! Escorted visit to the Sikulje and Dubrave Coal Loading areas. At both we would expect to find a Class 33 in steam followed by additional time for Class 33 (German kriegslok) working on one of the branches (Dubrave coal loader – Ljubace junction station or Sikulje coal loader – Lukavac). In a change to plans, we had an early start at 06:30 to get to Bukinje Works by 07:30 as they had a loco in steam to bring some replaced sleepers back to the works. This was either a genuine working or was used to test a repaired loco or was a bit of 'make work' to entertain us. The loco received attention to its air pump and cylinders before setting off so it may have been to test the loco. After the job which involved a short working towards the dual carriageway and the power station, the fire was dropped and it was parked up after the job of hauling sleepers was done. The loco involved was 33 504. 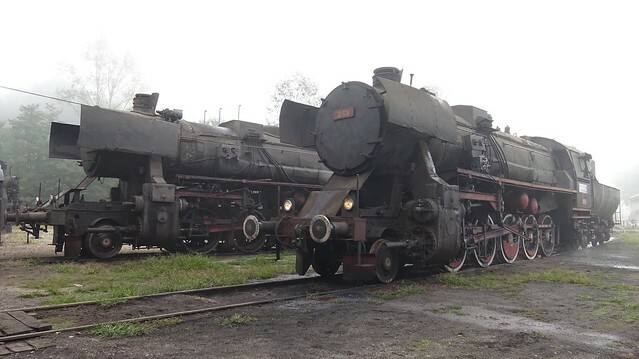 33 248 was under heavy overhaul inside the works and 33 064, stopped due to a slipped tyre on the 4th axle and requiring a suitable axle and wheels with new tyres from the Duro Dakovic factory in Slavonsky Brod. The line of stored class 62 locos and one dumped class 33 is unchanged from last year. We moved on to Sikulje to see them loading the coal using a cable with a wagon permanently attached to the cable to propel the coal wagons for loading, the loco 33 503 pushing the wagons back over the weighbridge and making up a full train of around 40 wagons and pulling them out to a siding awaiting transfer to Lukavac. After a decent wait because the diesel bringing the empties was blocked by pw work near the power station, the kriegslok took the train to Lukavac and brought back empty wagons. Then that was it for the day and at Dubrave the loader was broken so we had a tour of old Tuzla, followed by beers and excellent soul/rock from the 60s and 70s in the beer garden at Caffe Pivnica and black beer and Germanic/Bosnian food that goes well with beer at the Tuzla Brewery Taverna. 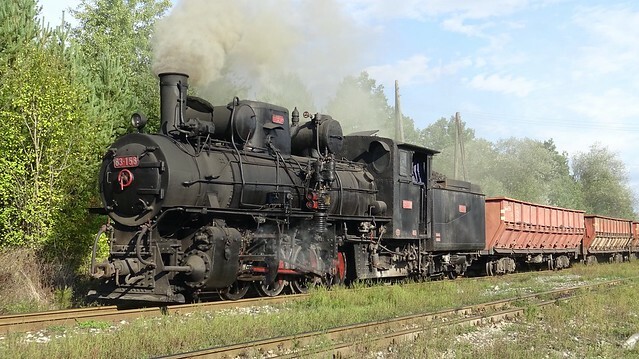 A good day and although the steam action finished early, everyone enjoyed the chance to experience the social life in Tuzla as well as the steam workings. Visit to Banovici workshop (ng) and Oskova washery (ng). In the afternoon, second (short-working) charter to the (disused) coal loading point above Banovici to the end of the double track using the class 25 ng loco and a shorter train including a carriage and coal hoppers. The itinerary for Thursday has been switched with Wednesday. As a result we had steam replace diesel on the standard gauge shunt at Oskova in the morning followed by the narrow gauge shunt at Oskova in the afternoon. The weather was misty turning to rain and then to mist again. This was a big contrast to the first few days but very atmospheric. The photos are already in the Flickr albums above right. 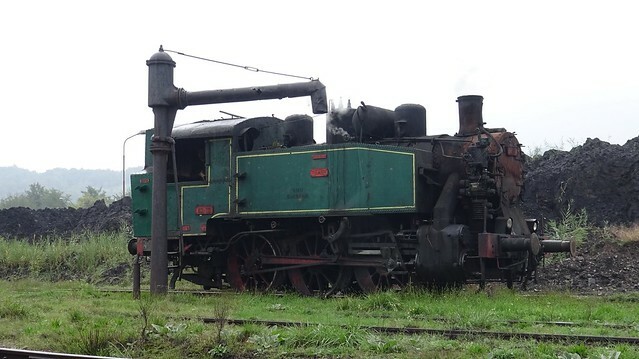 Locos in use were 19 12 and 83 158. Class 25 30 for our charter tomorrow was already at Oskova and in steam. We returned at 19:30 for some night photography. 83 158 was already unloading a train at the washery and returned shortly. Our night photographs were taken around the office and stabling point and some of them worked out well. There will be a separate album of Oskova night shots. Standard gauge 19-12 or 62 shunting at Oskova. Actual loco and time of day to be confirmed. 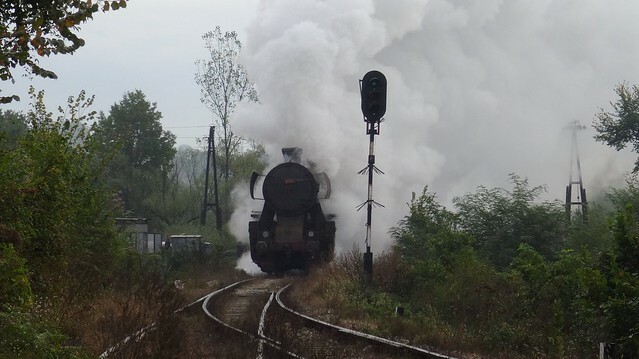 The rest of the day free for real steam at Oskova, Dubrave or Sikulje. With the itinerary switch, today we went first to Oskova Washery to find the washery under repair and the restart not scheduled until at least 10.00. In the event it was probably around 13:00. 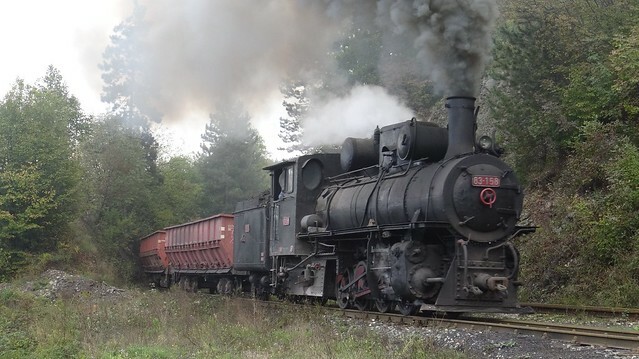 Rather than sit around, a phone call established that the loco at Dubrave would go to Ljubace to collect empty wagons. We passed the power station diesel on the way with wagons for Oskova. It had dropped 40 or so wagons at Ljubace. In misty weather, we arrived at Ljubace to find a Plasser Thurer tamper in the yard. This moved onto the line to Zivince and 33 236 arrived from Dubrave. After its departure, we drove round to the crossing on the Zivinice - Tuzla road and walked along the railway to the village. This 1.5 - 2 km walk revealed crossings and potential shots at either end but a long tree-ed in straight in the middle. By this point it was raining. 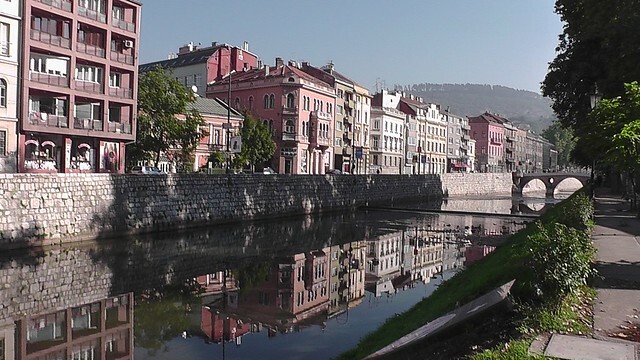 We went via Oskova - still not working - so had lunch in Banovici before our afternoon charter. 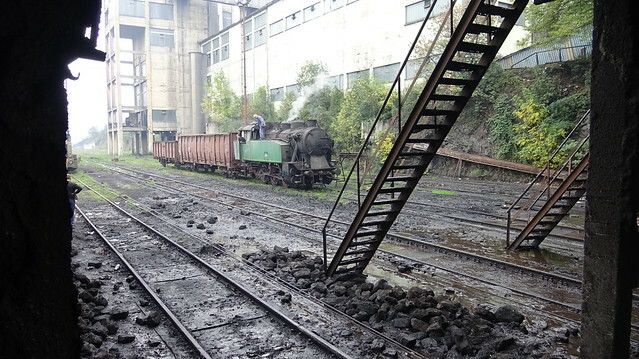 We had 25 30 in rain and mist for a charter of the full line including a visit to Banovici Workshops. The other working/almost working 83, 83 159 is complete inside the workshop while 55 99 is in good condition outside (but in need of repair). Dumped around the works yard are 2 class 83, 4 class 25 and an interesting track vehicle. Outside the yard gates, on a wagon with a snow plow on the front are a pair of cylinders, possibly for extra weight. After our informal works tour, we continued via Grivice (end of double track) to Turiga (the loading point for the open cast mine). The line was busy now with the two line-work diesels both making several trips during the charter. In increasing gloom, we had a last runpast at the crossing before Turiga and enjoyed a beer as we rolled back to Banovici museum yard where the charter ended. Visit to Bukinje workshop (sg) where the local kriegsloks undergo full overhauls as well as a return visit to Lukavac for Class 33 (German kriegslok) working on the short branch Sikulje coal loader – Lukavac junction station. Final part day in the Tuzla–Banovici area with visits to real working steam lines as agreed by the group. Hotel Grand Sarajevo in Sarajevo. End of tour at Hotel Grand Sarajevo. As we had already visited Bukinje Works on Tuesday, we started the day with a visit to Dubrave where 33 236 was ready to assemble a train of fulls to the exchange sidings. 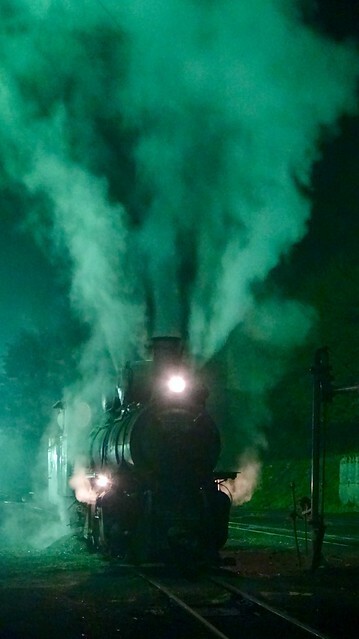 The loco returned light engine. We then drove over to Lukavac and around 12:15 33 503 brought a loaded train to the exchange sidings and went back with empties. This line is still notable for the locals who climb on board the moving train to bag and throw off coal to be collected later. After lunch in Lukavac, we heard that at Dubrave, the kriegslok was about to shunt two sets of empties under the loader and then take a train to Ljubace. We arrived in time to see the end of the shunting. The conveyor from the mine which goes all round the village of Dubrave is extremely noisy. So, while some endured the noise to get the view from the bridge carrying the conveyor over the line, I walked as far from the noise as possible and ended up with a shot from the disused siding after the crossing. We drove to the position at the crossing on a minor road near Ljubace we had found while walking the line earlier in the week and filmed the return working with empties here in fading light. Our last day in the Tuzla - Banovici area. After checkout, we went for an arranged charter at Djurdjevik. Here 62 111 was put through its paces without any wagons and in deteriorating conditions with the rain setting in. The future for this line and loco is not good and there are no plans to make the loco complaint with the state railways safety standards. There are unlikely to be any more steam-hauled coal trains to Zivinice and the purchase or hire of a diesel is probably not justified by the output from the mine which now goes to the power station by road. Given the weather, we did not go to Banovici for the 12:00 Tourist Train. We did call to ascertain that this would borrow the 83 class loco from the Oskova shunt for this duty. We drove to Sarajevo in the rain to end the tour. Initial list of all locos seen posted at the bottom of this report. He writes, 'Didn't really note diesels but have 740.107, 661.309 at Oskova on 7/10 and 661.275 at Sikulje on 9/10. Was told the unidentifiable derelict 83 was 180.